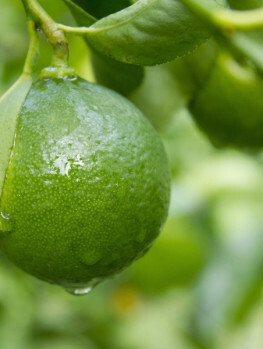 Citrus limon ‘Eureka’ – The Eureka Lemon tree produces a steady supply of lemons throughout the year, exactly what is needed to keep your kitchen constantly supplied with these healthy and valuable fruits. 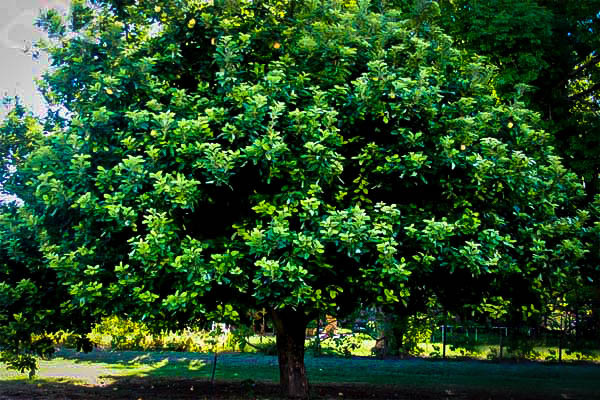 This tree produces large, tangy lemons with a skin rich in lemon oil that will always be available for salad dressings. lemonade and baking. The tree is open-branching, so it needs little pruning and has virtually no thorns, so it is easy to handle and safe to have around children. It will grow in all warm areas, but is frost-sensitive and should be planted in a warm, south or southeast facing location, preferably near a building if you live in areas where occasional frost can occur. 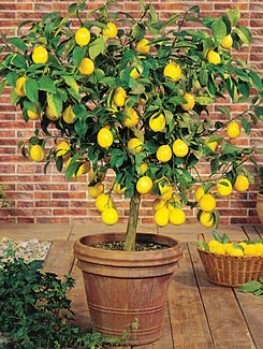 The Eureka Lemon Tree will grow well in a pot and can be kept indoors during cold weather. Keep it outdoors in a sunny spot as long as there is no frost. 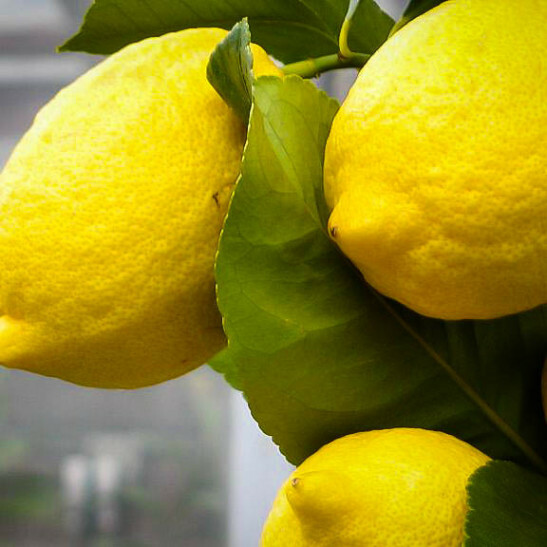 Now everyone can enjoy the benefits of growing their own lemons with this constantly-fruiting tree that will give you fresh, home-grown lemons any time you want them. No special pruning, or another tree for pollination, is needed, just sit back and wait for the harvest. Lemons are rarely needed in large quantities on a single day, so if you have a tree that ripens all its fruit over a short season (as many do), you will face a glut and then months of shopping at the store. With the Eureka Lemon tree, fruit is produced almost all year round, so when you need a lemon or two you can just reach for them. With such a steady supply you may never need to buy lemons again. This tree is always beautiful – it regularly has flowers and fruit at the same time because it flowers in bursts throughout the year. 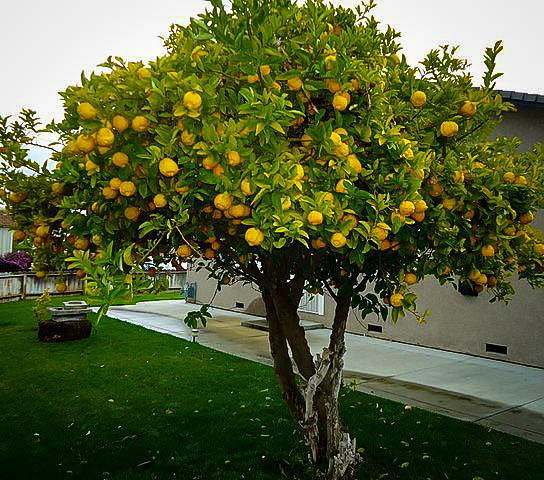 The Eureka Lemon tree is a special variety that originated in Los Angeles, California in the 1850’s. It was a seedling from some seeds brought over from Italy and its special qualities were soon noticed. It is also sometimes called the Four-Season Lemon because it bears fruit all year round, unlike the older Lisbon type of lemon. From that original tree all other Eureka Lemon trees have been produced. 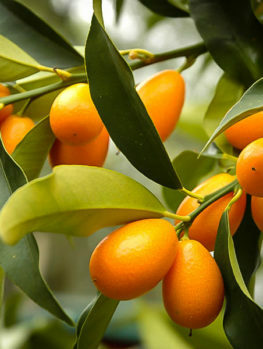 This tree will grow well in zone 10 and the warmer parts of zone 9, but if you want a citrus fruit tree and you live in cooler regions, then the Nagami Kumquat is a much hardier outdoor citrus variety that will tolerate quite a few degrees of frost. In cooler regions it is best to grow this tree in a large pot and place it in a sheltered, sunny location during the growing season. When temperatures approach 400F bring your tree in to a bright porch or other well-lit indoor location. A cooler area is better than a hot, dry part of the house. When warmer weather returns gradually put your tree outside during the day and bring it in at night for a couple of weeks until it becomes used to the outdoor conditions. If you have a very sunny indoor location your tree can even be grown indoors all-year-round. Allowing the tree to become dry periodically will encourage flowering in trees that are not exposed to the cooler night temperatures that naturally occur for outdoor trees. The Eureka Lemon Tree will grow in most types of soil that are well-drained and it likes plenty of organic material in the soil. Always plant on a slope or on a wide, low mound of soil, rather than in a hollow. 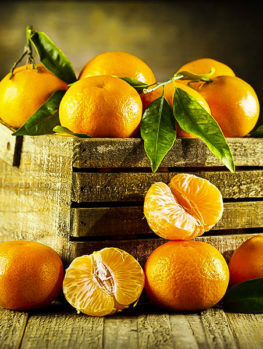 Although many citrus trees can suffer from some pests and diseases, these are usually fairly harmless and in home gardens it is rare to need any pest control. Sometimes the fruit will have a few blemishes, but it will be naturally grown and chemical-free, which is a real bonus from growing your own fruit trees at home. 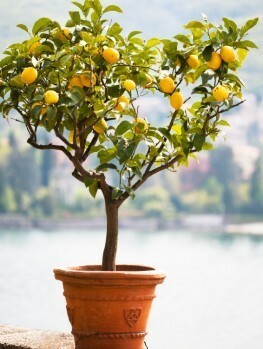 If you want to get the highest yield of delicious lemons, choose a very sunny location for your tree. Mix some rich organic material, like garden compost or rotted manure into the soil and dig a hole two or three times the width of the pot but no deeper. Place your tree in the hole at the same depth as it was in the pot and return most of the soil. Water thoroughly and when the water has all drained away replace the rest of the soil. In heavier soils make sure that your tree is planted on a wide, low raised mound. Put organic mulch over the root zone and renew this each spring. Unless growth is very slow this is all the fertilizer an outdoor tree will need. 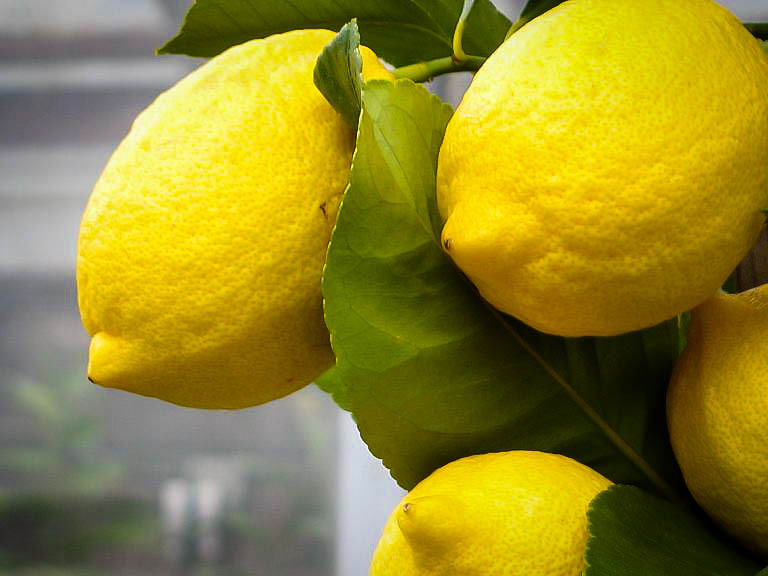 Water your new Eureka Lemon tree every week during the first growing season and then whenever the soil becomes a little dry. To grow your tree in a pot, choose a large pot and use regular potting soil with about 20% coarse sand or perlite added. 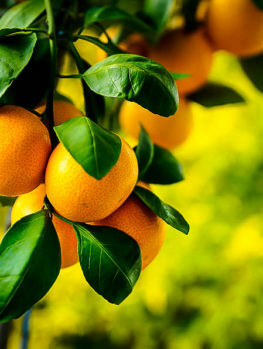 Use a citrus-tree fertilizer regularly during the growing season and water the soil thoroughly each time, waiting for it to dry a little between each watering. Because the Eureka Lemon is such a special tree it can only be produced from trees of the exact same type. Our trees are produced by grafting stems from named trees onto sturdy root systems to produce the healthiest plants. Beware of other lemons which are grown from seed. These take many years to fruit and the result will not be the special Eureka Lemon. So avoid cheaper trees that will only be a great disappointment to you. 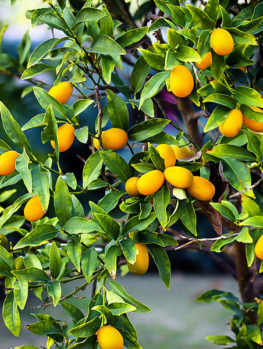 We constantly receive new stocks of the Eureka Lemon tree to keep up with demand for this popular tree, but supplies can be limited and trees are sometimes unavailable. So order now to avoid disappointment.